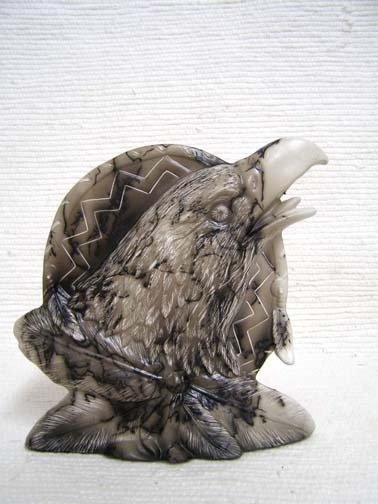 The horsehair eagle with shield serves both as a crest and an acknowledgement of the power of the eagle as messenger to the Great Spirit and protector to us all. Etching will vary. 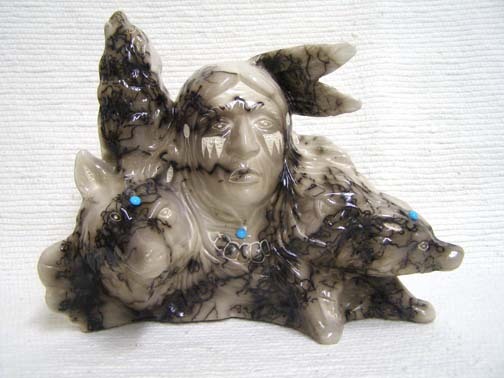 Native American Made Ceramic Horsehair Indian Chief and Maiden This seasoned warrior, showing his "softer side," is a perfect addition to any home. Has the warrior just returned from battle or is he just going? Either way, the emotion is felt by both characters. 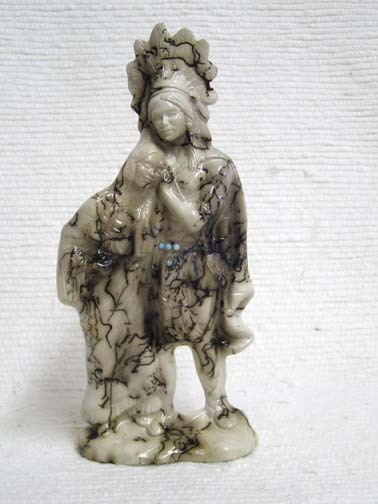 This a wonderful ceramic figurine. Etching will vary. 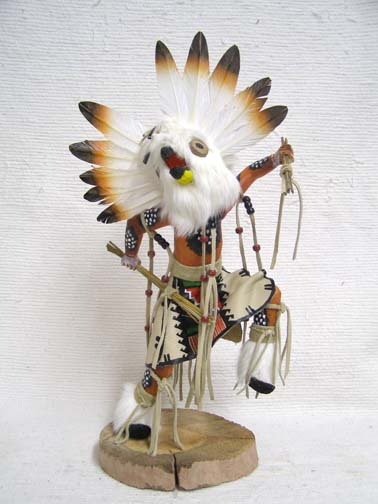 The Humpback Flute Player (Kokopelli) is an engaging image that originated in the ancient Anasazi culture and was brought into the present by the Pueblo Indians. 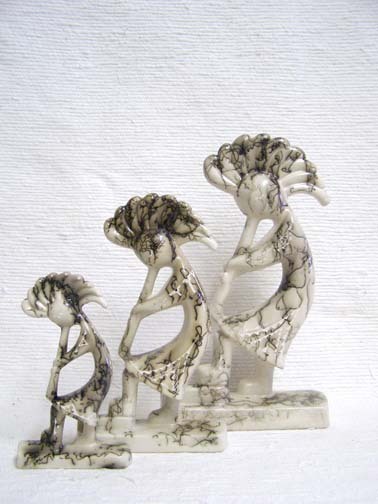 This classic figure of a bent over stick figure playing a flute has been associated with shamanism and supernatural qualities. He is a magical being who, by playing his flute, calls the clouds to make rain. Today, the Hopi play flutes over the springs to attract rain. 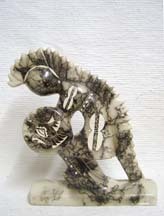 Kokopelli is also a symbol for fertility because he carries seeds and mist in his hump. He is mischievous when it comes to seducing young maidens! 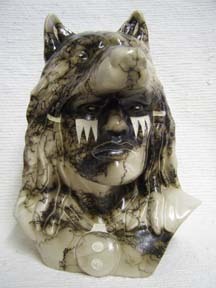 This horsehair Chief with Buffalo represents a highly revered person and a vitally important animal for Native Peoples. 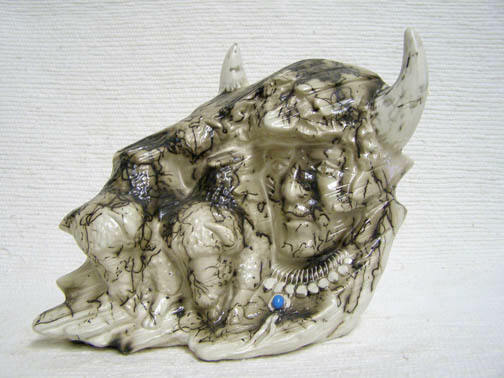 Without the Buffalo, Native Peoples would not have survived. Etching will vary. 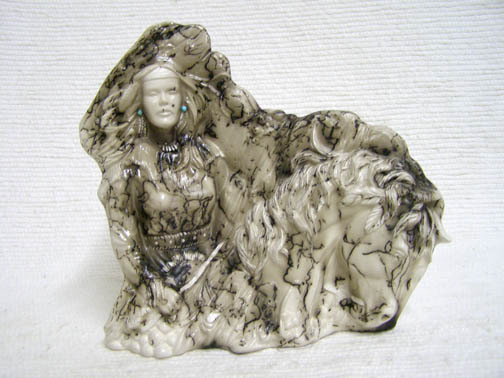 Native American Made Ceramic Horsehair Maiden on Horseback The beautiful Indian maiden on horseback represents the beauty and power that Native American Indian women possess. Etching will vary. 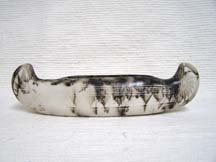 A large horsehair canoe to complement your home or office decorating or to be used as a desk accessory for holding paper clips, push pins, business cards etc. 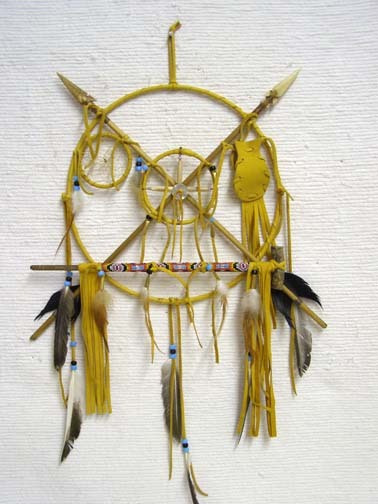 Hand etched by Native American Indians in the southwestern United States. Etching will vary. 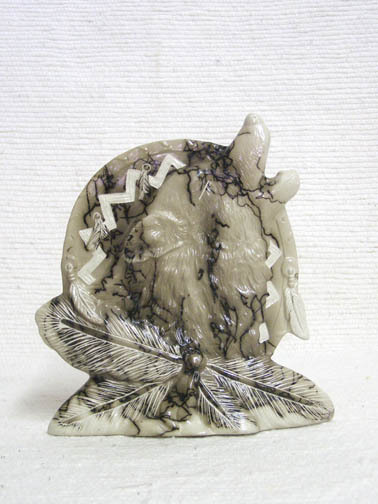 The horsehair wolf with shield serves both as a crest and an acknowledgement of the wolf's prowess as hunter. Etching will vary. Revised: 22 Feb 2015 23:52:43 -0500 .